5 Bdrm Detached Farm House. Ground flr: V/bule. Reception hall. Lounge/Dining rm. Dining kitch. Pantry. Shower rm. 2 Bdrms both with ensuite shower rms. Cloakrm. 1st flr: 2 Bdrms. Bdrm/Office. Bathrm. Land app 21 acres, Shed, and Steading with full planning permission for conversion to 3 dwellhouses & 2 business units all available by separate negotiation. (CT Band - E). Garden. Parking. Price over £395,000 Entry by arr. Viewing Mr & Mrs Phipps 01466 740308. (EPC band - D). “Stoneyfield Estate” is an imposing, distinguished property which has been beautifully extended and refurbished by the present owners to create a stylish contemporary home with the high quality finishings expected of a property of this calibre. 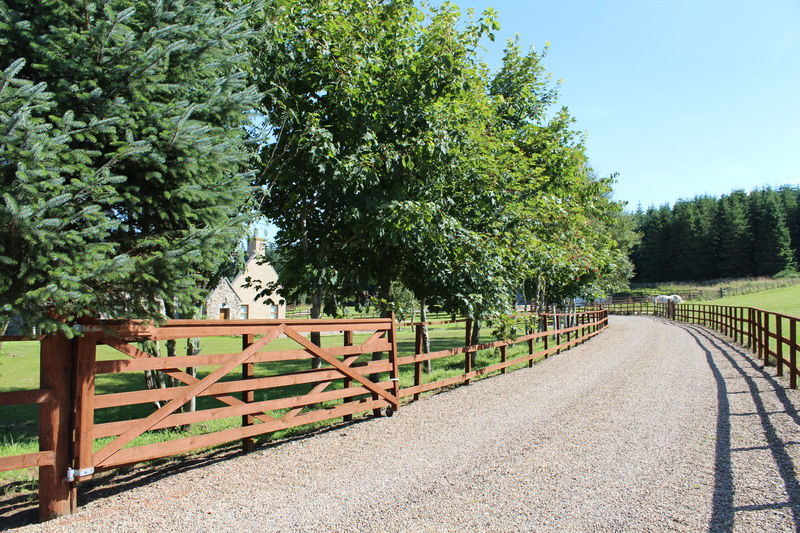 Set within extensive mature gardens in the heart of the rolling Aberdeenshire countryside, this exquisite farmhouse offers an enviable level of family accommodation throughout. Both the vestibule and reception hall provide an impressive entrance with the attractively presented master bedroom with en-suite shower room, guest bedroom with en-suite shower room, further double bedroom, formal lounge/dining room, shower room, superb kitchen and rear vestibule completing the accommodation on the ground floor. An elegant staircase leads to the upper floor where the third and fourth bedrooms, office and family bathroom are located. 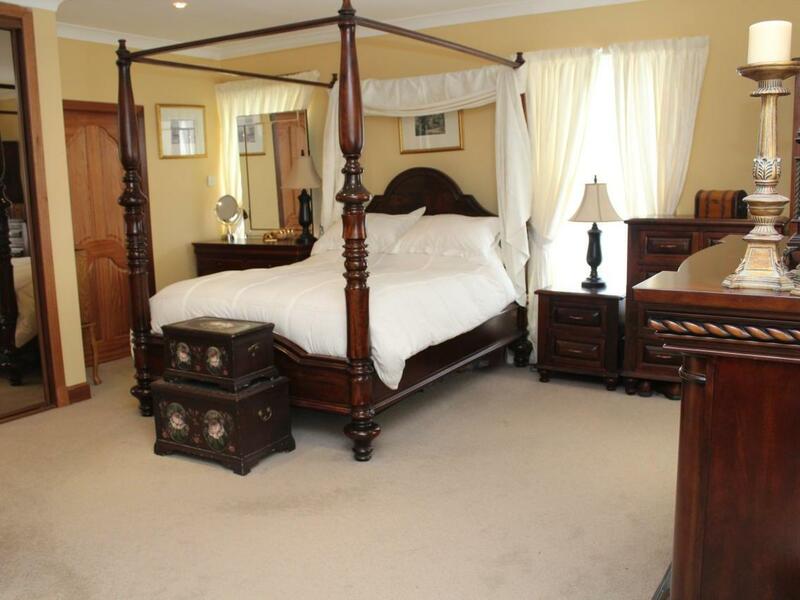 The property is set within large landscaped gardens which are mainly laid to lawn. A gravelled driveway provides ample parking to the rear of the property. 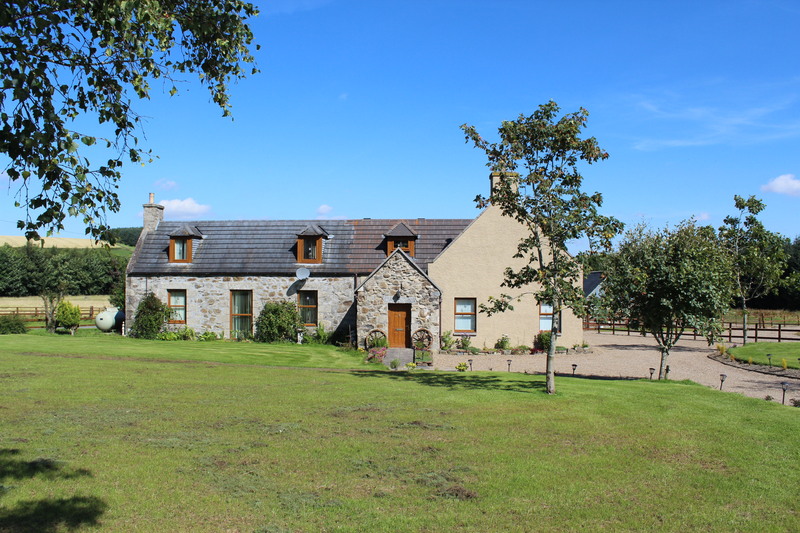 The substantial traditional U-shaped steading which has full planning permission to provide two single storey, three bedroomed dwelling houses and one four/five bedroomed two storey dwelling house along with two business units, the substantial shed and additional land and woodland extending to approximately 21 acres can be purchased by separate negotiation. VESTIBULE: 6’6” x 6’6” ( 2m x 2m ) approx. Exterior front door leading into the vestibule. Built-in double sized cloaks cupboard with hanging rail.Window fitted vertical blind.Laminate wooden flooring.Door with glass panelled upper connecting through to the reception hall. RECEPTION HALL: A warm and welcoming hall, providing an impressive entrance to the property, as well as a pleasant insight into the rest of the home, with elegant staircase leading to the upper floor accommodation. 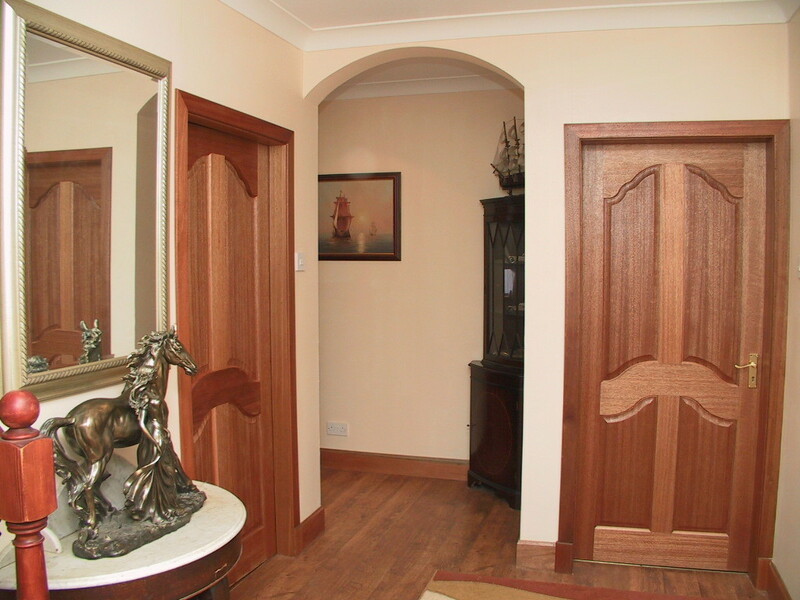 Enhancing features include the hardwood doors and finishings, deep skirtings and archways leading through to the dining room and guest bedroom.Laminate wooden flooring.Inset ceiling downlighters. INNER HALLWAY: The inner hallway gives access to the dining room, kitchen, pantry and shower room. LOUNGE/DINING ROOM : 33`2” x 12`10” (10.1m x 3.95m) approx. 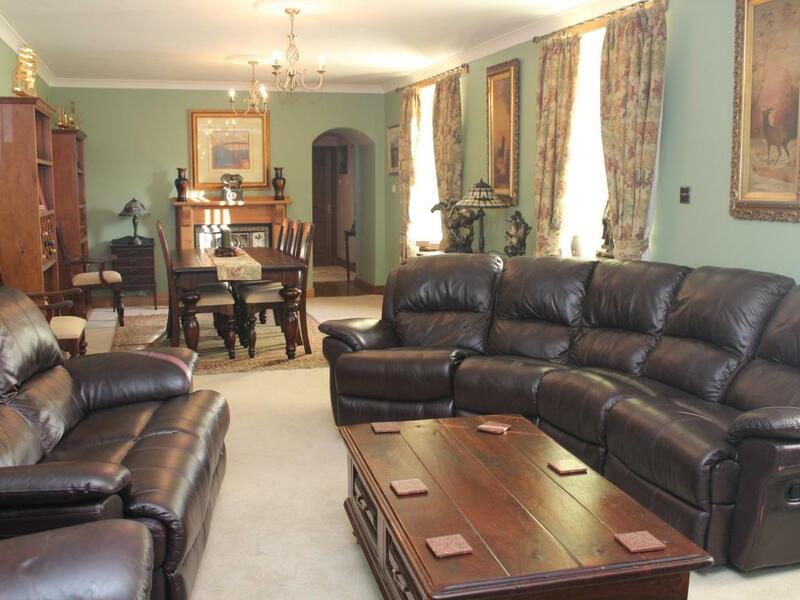 This stunning room ideally proportioned for formal entertaining. With three large picture windows overlooking the front of the property this bright and airy room has been beautifully decorated and finished with neutral carpeting.Of particular note are the two fireplaces located at either end of the room.T.V. and Telephone points. DINING KITCHEN: 20’ x 15’3” ( 6.15m x 4.69m ) approx. A striking, lavishly equipped kitchen, fitted with an excellent range of superior quality base and wall mounted units providing comprehensive storage and work surface facilities incorporating a one and a half bowl sink unit and drainer. 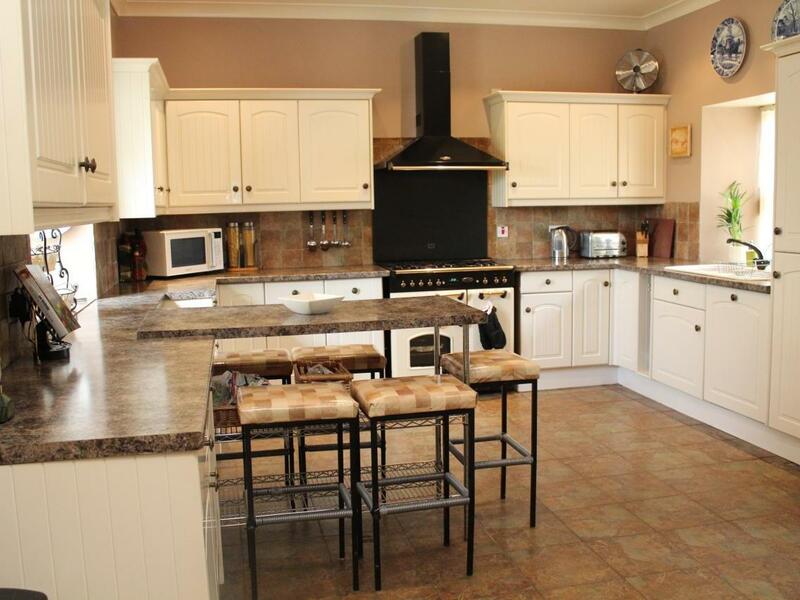 Further enhancing features include the breakfast bar, 5 ring “Rangemaster” cooker and tiled floor. Plumbed for automatic washing machine.Inset ceiling down-lighters.The white kitchen goods will remain.Great consideration has been given to the lay-out of the kitchen, with a utility area being located at the far end. SHOWER ROOM: Of fresh appearance the shower room comprises a w.c. wash-hand basin and large shower cubicle with Aqua panelling. Laminate flooring.Vertical blinds.Inset ceiling down-lighters. PANTRY: Most useful walk-in pantry fitted with power and light and providing excellent storage facilities. Spaces for fridge and fridge/freezer. REAR VESTIBULE: Exterior door leading into the rear vestibule which is off-set by the tiled floor. Cloak hanging area.Door with upper glazed panels connecting through to the kitchen. MASTER BEDROOM WITH EN-SUITE SHOWER ROOM: 19’3” x 18’5” ( 5.92m x 5.67m ) approx. A superb master bedroom of unusually generous proportions in which the full length windows fitted with vertical blinds allow the natural light to flood the room. Commodious storage accommodation is provided by way of two large built-in wardrobes fitted with hanging rails and hardwood shelving and fronted with sliding mirror doors.Feature fireplace.Inset ceiling down-lighters.Fitted carpet. EN-SUITE SHOWER ROOM: Presented in soft tones, the shower room comprises a w.c. wash-hand basin and large shower cubicle fitted with a “Mira Extreme” shower and Aqua panelling. Towel radiator.Extractor fan.Inset ceiling down-lighters.Vinyl flooring. GUEST BEDROOM WITH EN-SUITE SHOWER ROOM: 15`1” (max.) x 19’3” (4.64m x 5.92m ) approx. 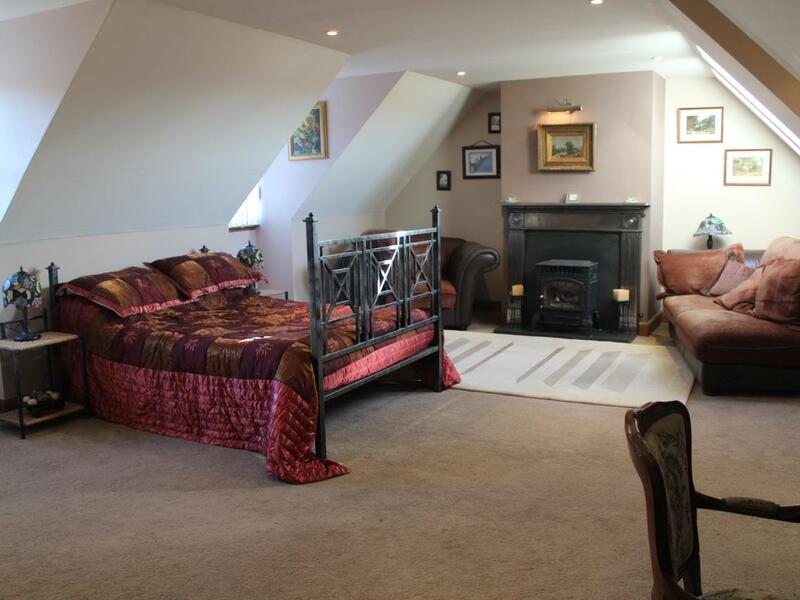 An attractively presented, light and airy, double bedroom, of generous proportions. The two picture windows combine with the full length window to enhance the natural light.Fitted carpet.Vertical blinds.Inset ceiling down-lighters. EN-SUITE SHOWER ROOM: Decorated in pleasing tones of lilac, this shower room features a w.c wash-hand basin and shower cubicle with “Mira” shower. 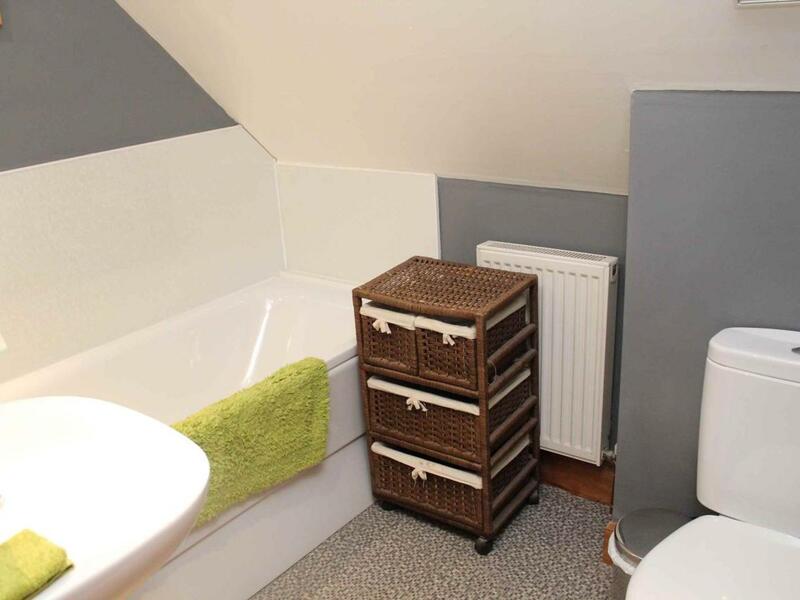 Towel radiator.Vinyl flooring.Extractor fan.Inset ceiling down-lighters. CLOAKROOM: Featuring a two piece suite comprising a w.c. and wash-hand basin. Built-in under-stair cupboard providing useful storage space.Laminate flooring.Extractor fan.Usual small bathroom fitments.Inset ceiling down-lighters. An elegant staircase with ornate wrought iron balustrade, wooden curved hand rail and inset lighting leads from the reception hall to the upper floor accommodation. Window on the half landing fitted with vertical blinds. 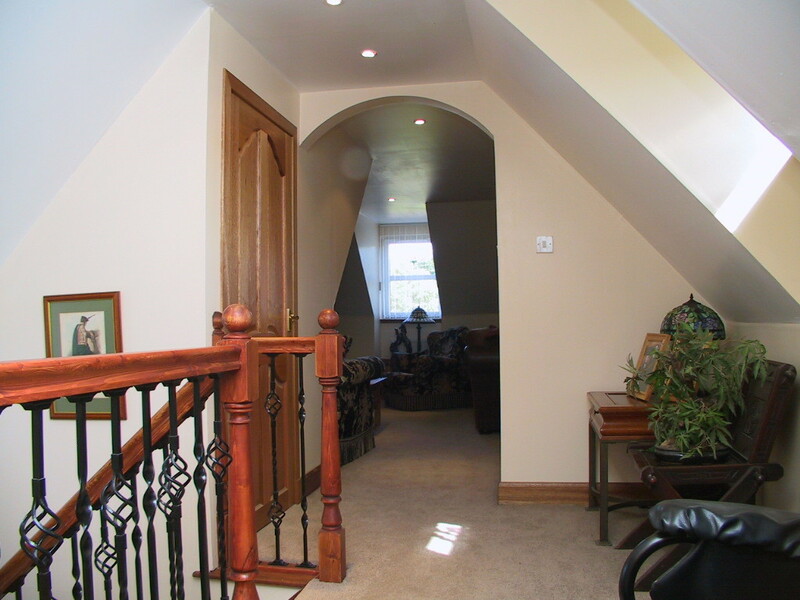 UPPER HALLWAY: The upper floor rooms are arranged around this well proportioned hallway which is fitted with a window. Built-in airing cupboard.Fitted carpet. BEDROOM THREE: 25’ x 15’4” (7.69m x 4.72m) approx. 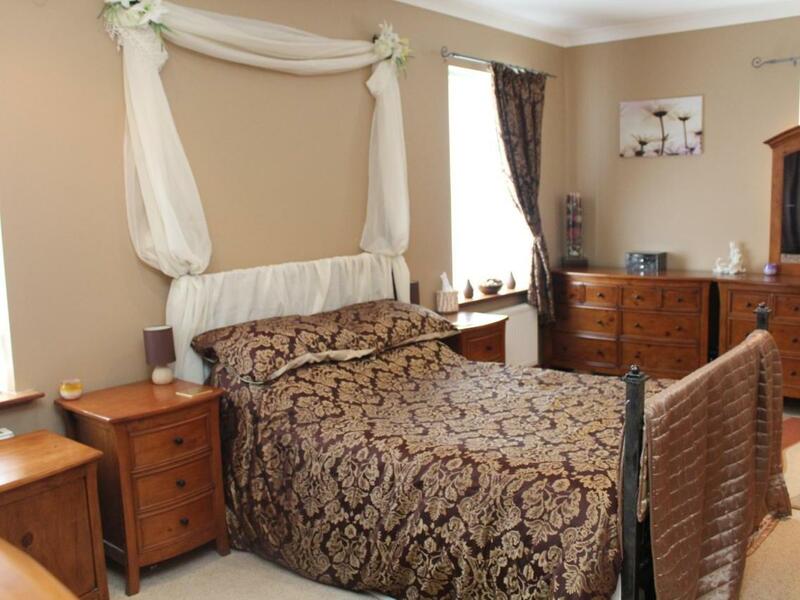 A stylish, extremely spacious bedroom decorated in soft shades with complementing fitted carpet. Enjoying a lovely outlook over the garden towards the pond and countryside beyond, it has as its focal point a feature fireplace with inset gas fire which adds to the appeal of the room.Picture light. Television point.Vertical blinds.Located off this bedroom is a large office which could be quite easily converted to a luxurious en suite bathroom. BEDROOM FIVE/OFFICE: 15’4” x 8’9” ( 4.72m x 2.69m ) approx. 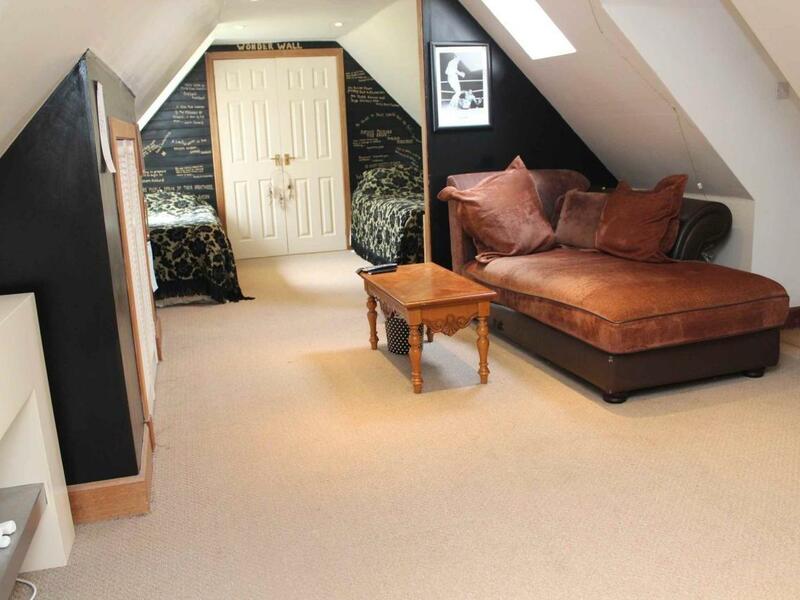 Presented in soft tones with complementing fitted carpet, this is a versatile room, which although presently utilised as an office would also serve as an ideal nursery or could quite easily be converted to a luxurious en suite bathroom. Window fitted with vertical blinds.Inset ceiling down-lighters. FAMILY BATHROOM: This centrally situated family bathroom is fitted with a modern three piece suite comprising a w.c. wash-hand basin and bath with overhead shower attachment. Aqua panelling around the bath area.Inset ceiling down-lighters. BEDROOM FOUR: 31’7” x 11’6”( 9.72m x 3.54m ) approx. A superb sized bedroom offering versatile accommodation.Storage accommodation is provided by way of a built-in wardrobe along with fitted cupboards all fronted with louvre doors.Inset ceiling down-lighters.Fitted carpet.Access to fully floored loft space fitted with lights, which provides excellent storage facilities. 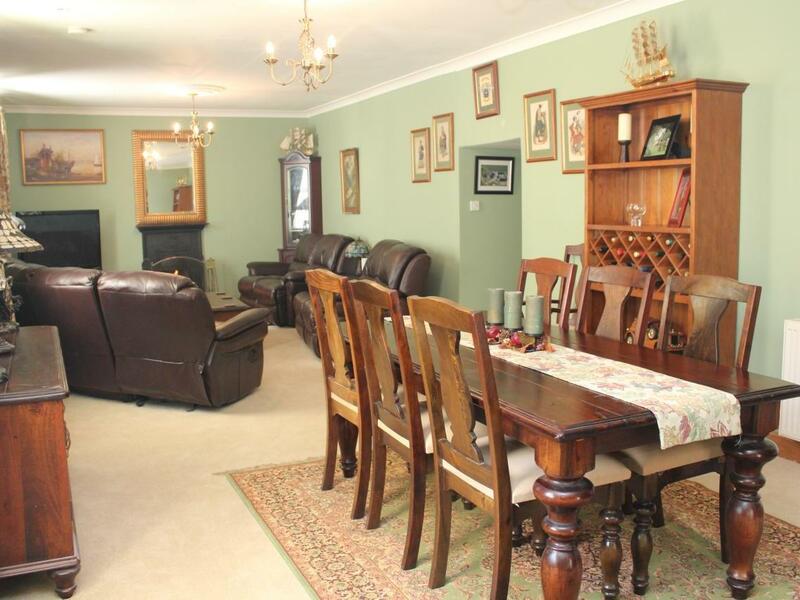 OUTSIDE: The property sits in extensive, mature garden grounds. To the front is an area of lawn, interspersed with mature trees and with central feature.To the side is an attractive flower bed providing a variety of colour.A paved patio area provides an ideal seating area in which to enjoy the lovely outlook.In addition an extensive driveway provides ample off-road parking.Planning Permission has also been granted for a large double garage. GENERAL/SERVICES: Oil central heating. LPG tank for fires and cooker. UPVC double glazing. Private Water with water filtration system. Private drainage to a septic tank within the grounds. 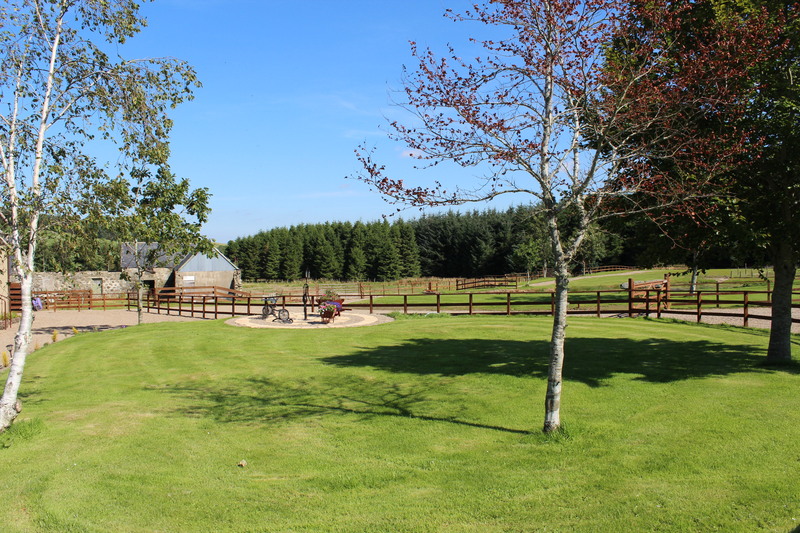 LOCATION: The property enjoys a magnificent rural location in the heart of the Aberdeenshire countryside, providing the perfect setting for those seeking a peaceful life-style. It is situated around 4 miles from Huntly affording it the advantage of an idyllic rural setting yet within easy access of wide ranging amenities.Huntly is situated on the main road and rail route from Aberdeen to Inverness and with easy access to the A96 trunk road, the property is well within commuting distance of Aberdeen.Huntly itself offers wide ranging amenities including a swimming pool, eighteen hole golf course, bowling green and Nordic Ski centre.Facilities include shops, including an Asda and Tesco Supermarket, Health Centre, Hospital and Primary and Secondary Schools.For the outdoor enthusiast there is an array of walks and cycle routes nearby along with ideal trekking countryside. TRAVEL DIRECTIONS: From Huntly travel southwards along the A96 for around 3 miles then turn left at the junction for Thomastown. Continue along this road for about 1 mile then go straight ahead at the crossroads.Proceed along this road for a further 0.7 miles and Stoneyfield Estate is situated on the right hand side. 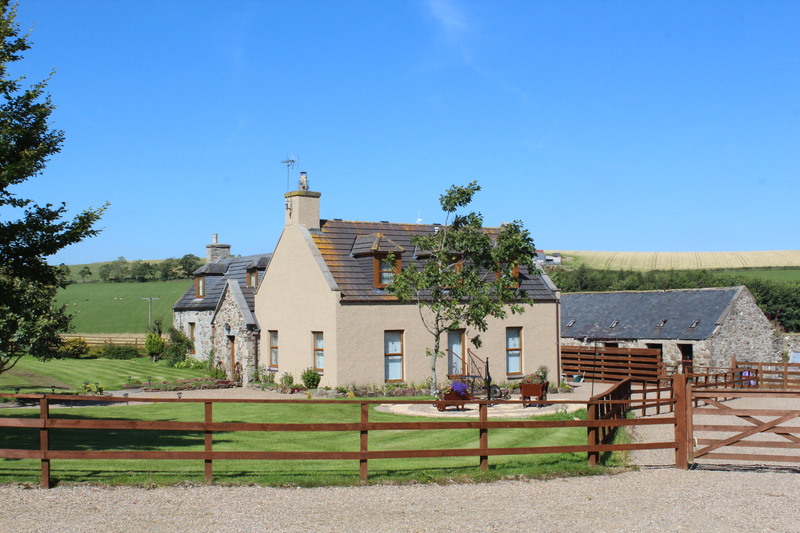 STEADING: This comprises a substantial, traditional U-shaped steading. Full Planning Permission has been granted for the erection of two single storey, three bedroomed dwelling-houses and one four/five bedroomed two storey dwelling-house along with two business units. 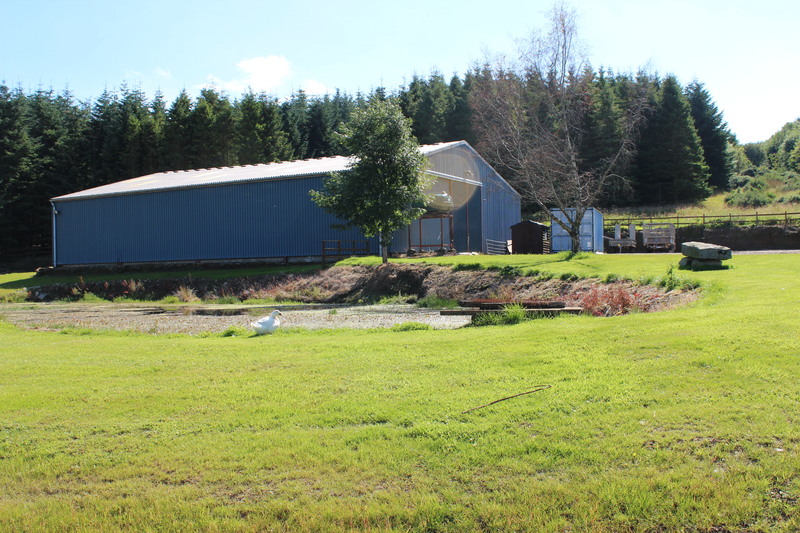 Services are available on site along with a private water supply and an individual septic tank for each property. SHED: 80m x 60m approx. Substantial shed which at present provides stabling for several horses and is fitted with power and light. 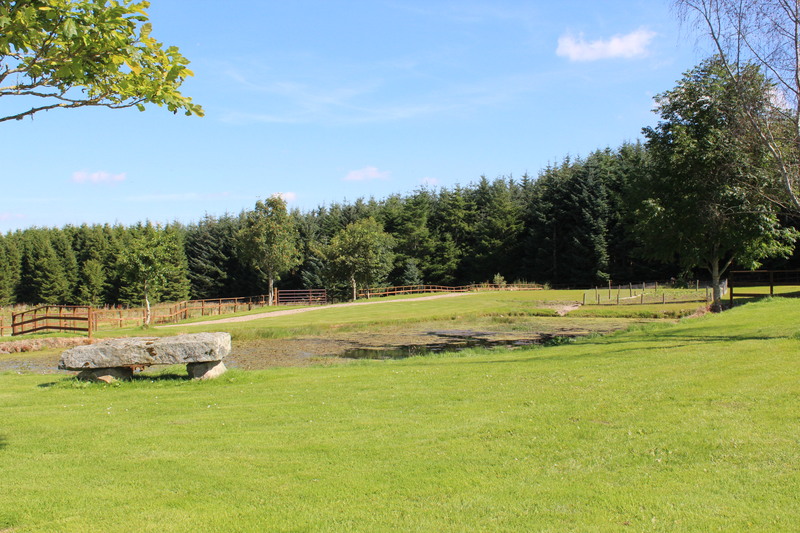 LAND: Additional land and woodland extending to approximately 21 acres. Running water is available in all the fields.